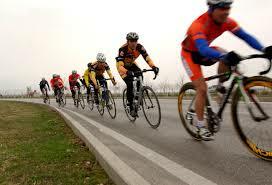 Cyclists, like many other athletes are susceptible to a variety of injuries. Most of these injuries can be managed without having to take too much time away from your bike, and even better, most can even be prevented with a little help from a physical therapist or personal trainer. Like runners, cyclists often train very hard at their craft, but this time commitment to their sport often does not leave time to address the other important aspects of becoming a better, and healthier athlete. Aspects of a total fitness routine like mobility, flexibility and strength training can sometimes be neglected due to the time spent improving riding technique and logging miles while you train for your next race. Our Cary NC physical therapists have compiled 4 common injuries we see while working with cyclists. The IT Band is located on the outside of your leg and connects your hip to the outside of your knee. When the IT Band becomes irritated and athletes will experience pain or aching on the outside of their knee. The main cause of ITBS is due to decreased strength and endurance in your hip muscles. In order to treat or prevent ITBS, a hip and core strengthening program is essential. There are some misconceptions out there when it comes to dealing with ITBS. For starters it is very hard to stretch the ITB, if not impossible. The ITB is a thick fibrous band, almost like a leather belt that runs along the outside of your leg. It does not have the structural properties a muscle does that would allow it to stretch. Imagine trying to stretch a leather belt, you can pull and pull, but you probably aren’t going to be able to make it any longer. Stretching and foam rolling the muscles at the hip that contribute to the formation of the IT Band can help, but correcting mechanics and improving strength are the vital to preventing this type of injury. Patellofemoral pain syndrome is a condition that refers pain around the knee and is most commonly reported along the patella (knee cap) or the outside of the knee. Pain will often be felt along the anterior and lateral portions of the knee cap. Going down stairs is typically more painful than going up, although both directions may be painful. The knee cap will also be painful to the touch. Research has shown that this condition is commonly linked to overuse, poor mechanics, and weak or tight muscles around the hip and knee. Rest can improve symptoms, however prolonged sitting with you knee bent may increase symptoms. Occasionally you can hear popping when you bend or straighten your knee. A physical therapist can help by mobilizing your patella to improve mobility and by providing you with a home exercise program to improve strength and flexibility. Icing the painful area can also help with some pain and swelling. One additional treatment that some physical therapists use, which has mixed results is patellar taping. Upper crossed syndrome is caused by muscle imbalances in the neck, upper back and shoulder. Cyclists who spent prolonged periods of time on their bike can develop this condition as the deep cervical neck flexors become weak, and the deep cervical extensor muscles become shortened. Muscles in the chest like your pecs can also become shortened, while the postural muscles in your upper back become weak. Pain can be felt anywhere from the base of your skull all the way down to between your shoulder blades. Fortunately this condition can be prevented with postural strengthening program. If you are having pain from this syndrome, a physical therapist may perform some manual therapy techniques to improve soft tissue mobility in addition to the postural strengthening program. One of the most common injuries that cyclists are exposed to in a much higher rate than the general population is Guyon’s Tunnel Syndrome. This condition goes by many names, such as Ulnar Tunnel Syndrome, Cyclists Palsy or Guyon’s Tunnel Syndrome. Symptoms include a pins and needles or burning sensation, in the pinky and ring fingers, weakness in the hand, and difficulty spreading your fingers apart. Cyclists experience this condition due to compression of the ulnar nerve in the tunnel of Guyon as cyclists grip the handlebars of their bike. Making sure your bike is fitted correctly is an important step of preventing this injury, along with improving elbow/wrist/hand strength and endurance. If symptoms persist, bracing may be required for a period of time to help relieve symptoms while you improve the mobility and strength in the surrounding areas.